It’s a Thursday night, and you’re feeling restless. You feel like getting out of town, but your budget is the only thing holding you back. Well, it shouldn’t! There are hundreds of ways to save on all of your travel needs and take a mini-vacation without emptying your savings. Here are some travel savings pointers to help you out. Traveling with friends can be a lot of fun, but it can also be a simple way to cut the costs of a weekend trip. Check for deals and savings for companies like Priceline to save money on cruises, car rentals, hotel rooms, and plane tickets, and then split what you can among your group of friends or family members. You’ll also have more leftover for your next weekend adventure. One of the best ways to plan a budget-friendly weekend trip is to keep your travels close to home. 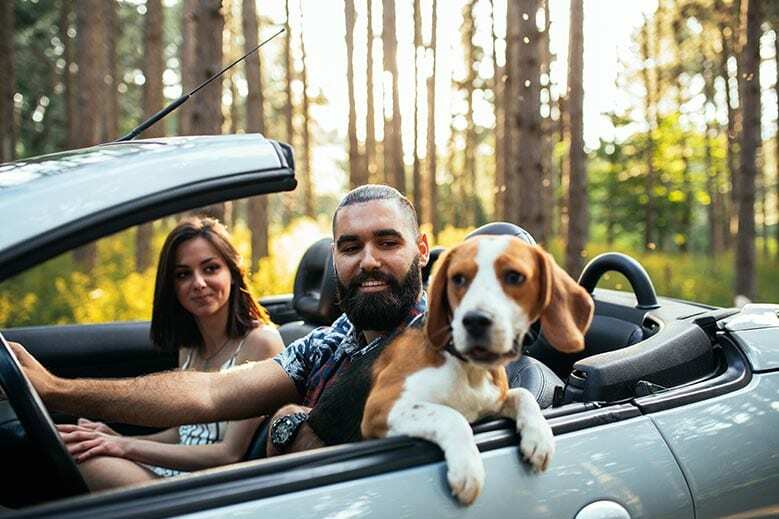 Driving to a nearby city, park or attraction saves you the hundreds you would spend on airfare, and makes weekend trips possible on any income. If you need a car to drive, look for low rental rates with companies away from the airport. Also, remember to look for special offers and promo codes for places like Enterprise Rent-A-Car to keep costs low. Crashing with friends or family is a nice way to spend time with the people you love while leaving a lot more money in your wallet. Plan your road trip or weekend adventure for cities you would love to explore but with folks you know nearby. Even if you pick up a gift for your host, it’s less likely to cost you as much as a hotel or rental. However, if you don’t have people nearby or would rather have your own space, look for online coupons and get cash back for websites like Hotels.com to get the best possible rates. If you have a few extra minutes and an internet connection, it’s fairly simple to score deep discounts on last-minute weekend flights. Start by using Google Flights and SkyScanner to search for the best deals to hundreds of destinations around the country. If you live near a Southwest hub, you can also be on the lookout for one of their fare sales to get flights for as little as $49! That’s less than you would spend on a night out in your own town. They usually only offer these sales a few times a year, so try to plan your trips accordingly. The amount you can spend on food while traveling is a little out of control. Eating at restaurants usually means paying for drinks and entrees, as well as leaving a tip. Opting for fast food isn’t much cheaper, and it will only leave you feeling lousy. However, you can cut costs on food and snacks — and stick to your diet — by packing some healthy, tasty treats and meals to take on the go. Use coupon sites like Coupons.com to snag deals on pre-packaged snacks, coolers, and dry goods to prep your travel meals. Being frugal is always a smart move, but you shouldn’t let your budget keep you from having fun when you decide to head out on vacation! With some savvy savings tips, you can take a weekend trip without breaking the bank. And remember: Enjoy your trip!